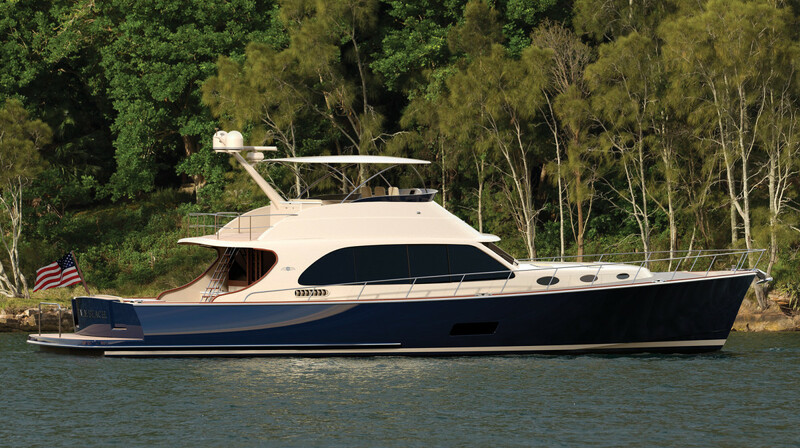 The luxury builder crowns its line of semi-custom boats with a new flagship. People who know Mark Richards say he gets very passionate about wakes. 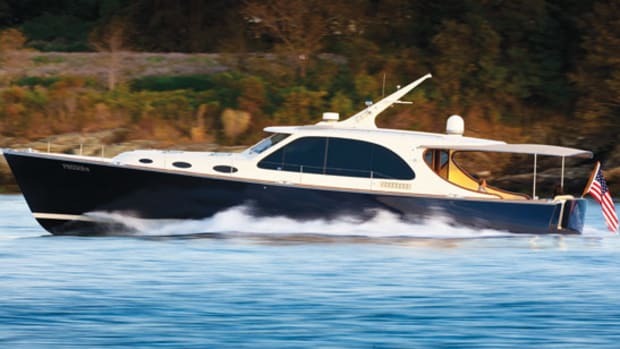 The founder and CEO of Palm Beach Motor Yachts believes large wakes indicate wasted energy, and they’re often thrown from hull designs that aren’t as efficient as they could be. 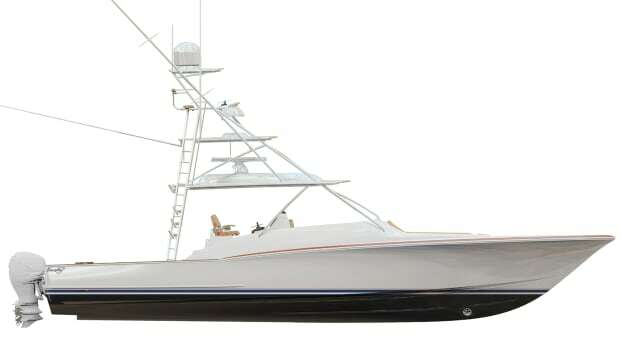 Richards funneled that passion for efficiency into the development of the semi-displacement warped hull that is a key feature of each semi-custom boat in the Palm Beach lineup. Until recently, the series ranged from 42 to 65 feet. 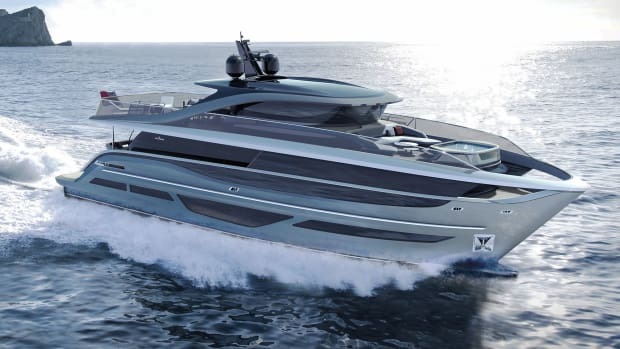 Now, the company has plans for a new flagship—the 70—and it too will run on that proven hull. How does it work? 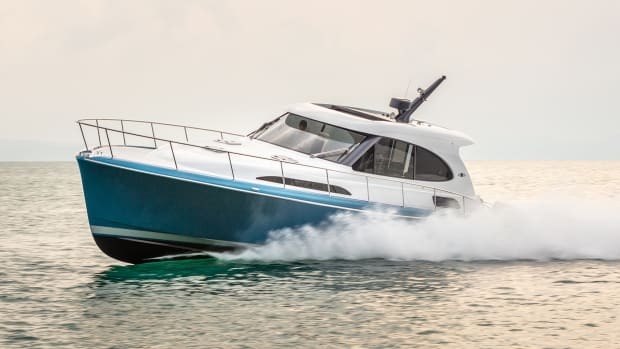 In general, the warped shape keeps the bow in the water while the hull gets on plane, thereby eliminating the hump in the speed curve associated with deep- and modified-V hulls—they encounter more resistance, and use more energy, as they rise from the water. 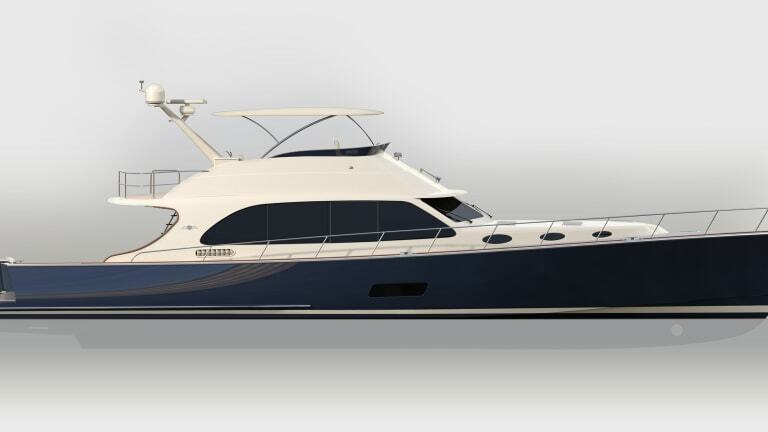 The 70 will benefit from the attributes of this hull design, although other elements will enhance its performance, including savvy construction techniques. As for those owners, Palm Beach seems to have a loyal following. In fact, the concept for this 70 was developed for a client who wanted to trade up from his 65. Palm Beach now has two 70s under construction. Both are headed for the U.S. and should arrive by early 2019. 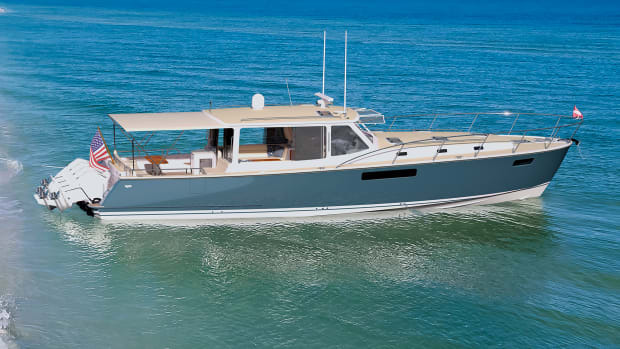 While each boat will have the craftsmanship and pleasing lines that have helped to make Palm Beach a serious player among discerning yachtsmen, the differences between hulls 1 and 2 also say a lot about this manufacturer. No. 1 will feature four staterooms. No. 2 will have just two. “The interior can be fully customized,” says Richards, who works directly with every customer. For the owner, that’s one benefit of Palm Beach’s factory-direct business model. 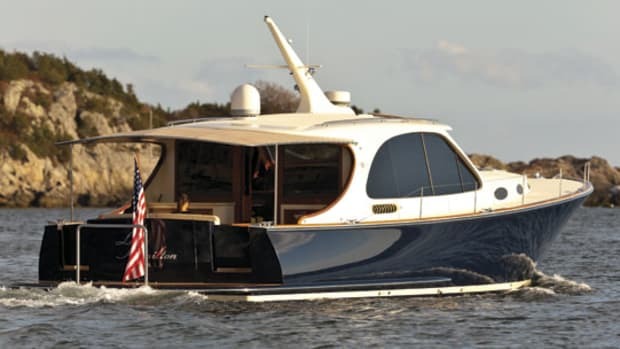 These boats aren’t ordered through a dealer network; instead, owners collaborate with the CEO, who has a passion for boats and boatbuilding, and enjoys sharing it with others. 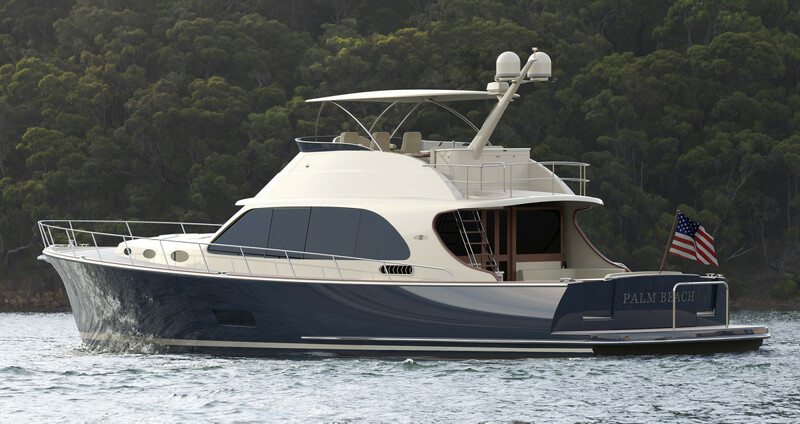 The 70 will be offered in express and flybridge versions. 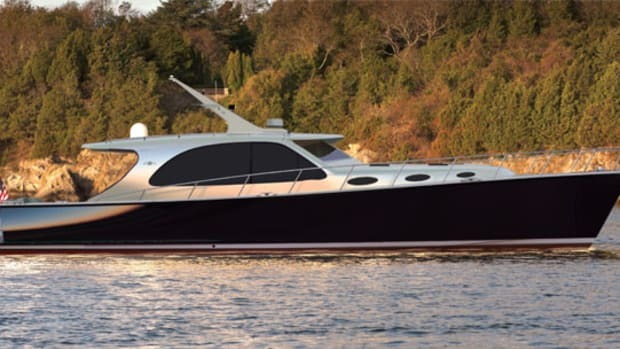 Nice features include the handcrafted teak interior, electric windows in the aft bulkhead, and bow cockpit with lounges, which could become everyone’s favorite seat onboard. 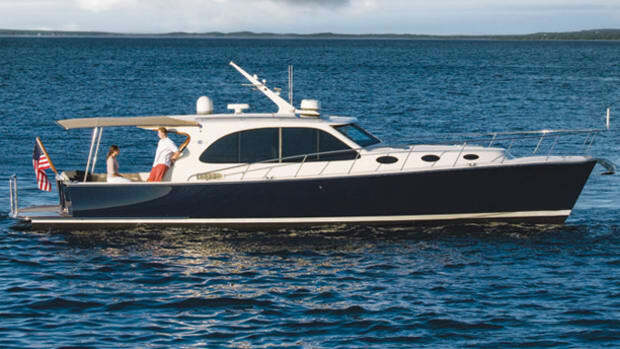 There’s also a tender garage, teak swim platform and settee at the transom. From there, your guests can turn to admire what is likely to be a modest wake.